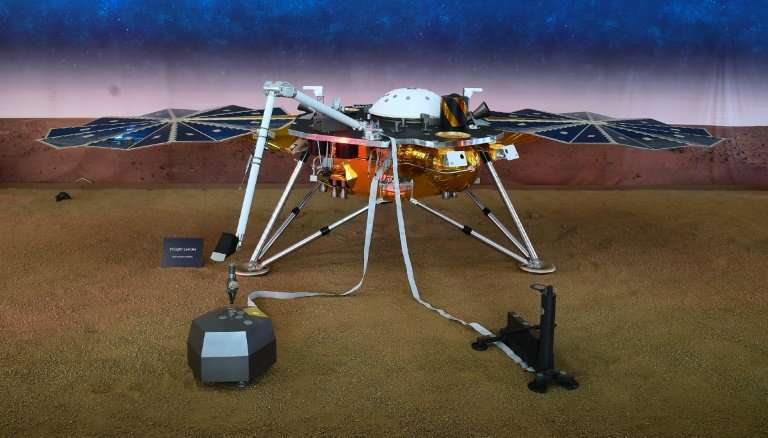 The $993 million lander, which landed on Monday and appears to be in good shape, will soon begin unfolding its robotic arm and deploying its quake-sensors on the Martian surface. NASA engineers are planning to begin work with its robotic arm soon, but are proceeding with caution. The arm has five mechanical fingers to help it lift out and place its two instruments on Martian soil in the coming few months. "Slowly releasing all my pent-up tension, starting with loosening my grapple, as these before-and-after pics show," said the NASAInSight Twitter account. "Until I'm ready to stretch my arm out, my camera angles will be the same." 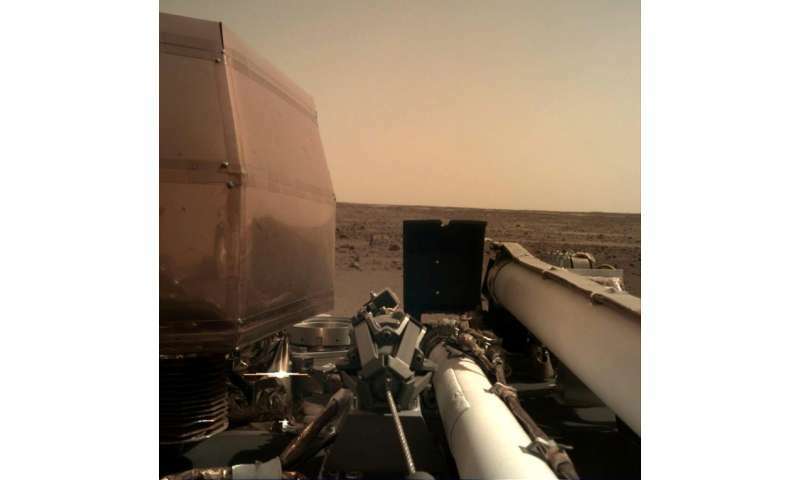 InSight is equipped with two full-color cameras and has already sent back six shots since touching down. The waist-high spacecraft will stay in place for the two-year duration of its mission. NASA has not said anything about the condition of the other instruments on board, which include a French-made seismometer to study Marsquakes and a German self-hammering mole to measure heat's escape from the planet. NASA did say its solar arrays have deployed, which is good news since the lander runs on solar energy. In Paris, the French space agency CNES said everything seems fine for the moment, and that it is up to NASA to communicate with the SEIS quake-sensing instrument. "and a German self-hammering mole"
Wouldn't they use that before deploying the hyper-sensitive seismometer? No. The seismometer should be set in place FIRST in the event that there could be one or more Marsquakes that should be responded to and recorded immediately before other instruments such as the mole is put in place. A quake that may occur and isn't recorded is lost and another one may not take place again for some time. So the timing is important. "and German self-hammering mole" - this device was indeed provided to NASA by German Space Agency, but it was designed and built by Astronika company from... Poland. If someone was surprised to see Polish flag on the calibration screen for InSight cameras, this is why it is there. The device has even a name KRET HP3 - kret is Polish for mole. Try, google it. I understand the need to shorten the message, make it more digestable for common readers etc. but stating that the self-hammering mole is "German" is an oversimplification. Anthropomorphic twittering, dumbed down for NASA's market. "the French space agency CERN said ..."
CERN is the world renown European High Energy Center! That thing is worth a billion dollars? It's also probably considered a cheap device. It's a conspiracy, NASA blew the money on hookers and dope! "....and a German self-hammering mole...."
What's Merkel got to do with this?? ?